A pre-eminent expert on harbour science and coastal ecology from Australia will be delivering a public lecture in Saint John on Oct. 6, hosted by the Canadian Rivers Institute and the University of New Brunswick. 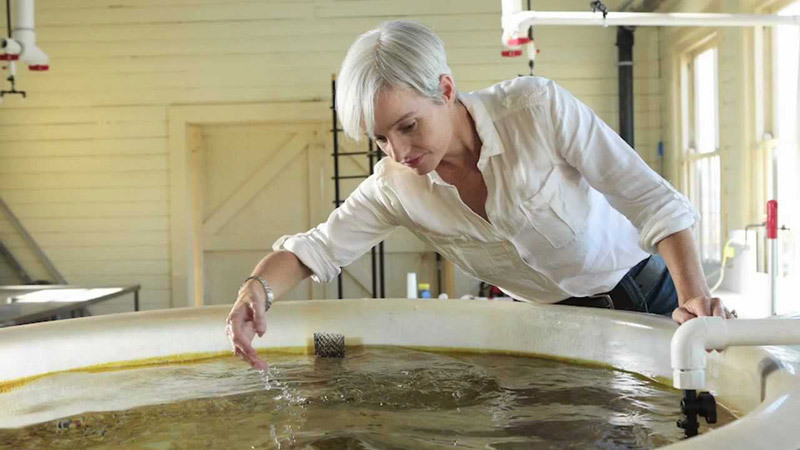 Dr. Emma Johnston is a rising star in the field of harbour and estuarine ecology and a co-presenter of the Foxtel/BBC television series Coast Australia. An expert in how humans impact harbours, coasts and estuarine habitats, Dr. Johnston is pro vice-chancellor (research) at the University of New South Wales in Sydney and is head of the university’s Applied Marine and Estuarine Ecology Lab. Indeed, her laboratory is the Sydney Harbour, one of the busiest ports in the southern hemisphere. Coastal marine environments come under tremendous pressure from human activity, says Dr. Karen Kidd, a science director with the Canadian Rivers Institute and a professor of biology at UNB. Dr. Johnston’s research is conducted in such diverse field environments as Antarctica, the Great Barrier Reef and temperate Australian estuaries. Her work has met the highest standards of international research, as evidenced by more than 90 peer-reviewed publications. She contributes expert opinion to state, federal and international government agencies and consults with industry through the development and implementation of environmental monitoring programs. Dr. Johnston will be delivering the 2016 Hynes Lecture, a series launched by the Canadian Rivers Institute in 2002 that pays tribute to Dr. H.B. Noel Hynes, the world’s most renowned freshwater biologist. The Oct. 6 lecture will start at 7 p.m. at the Mary H. Oland Theatre at the New Brunswick Museum. There is no charge to attend. Note: Some advance media opportunities are available in both Fredericton and Saint John.